Looking for deals in Liverpool? Pullman Liverpool Hotel offers accommodations overlooking the waterfront in Kings Dock, Liverpool. Guests can enjoy the on-site restaurant and bar, and free WiFi is available throughout the hotel. Staff!!! Location!!! Rooms!!! And the nearby Pizza Express is fantastic!! At Liverpool’s Stanley Dock, the Titanic Hotel Liverpool is found in the site’s former North Warehouse, and offers stylish accommodations around 5 minutes’ drive from the city center. This is my new home away from home. When I am in Liverpool overnight you will find me at the Titanic Hotel. I absolutely loved this property. ibis Styles Liverpool Center Dale St is set within 10 minutes’ walk of Liverpool’s Moorfields and Lime Street stations. I like everything about hotel. Hotel is very close to everything. Rooms are clean but little bit small. Stuff was very helpful and nice. Breakfast is very good. A 10-minute walk from Lime Street Rail Station, this stylish boutique hotel has free WiFi. The hotel lobby, Cotton Lounge and Marco Pierre White Steakhouse restaurant are inspired by the local area. Fun and clean! Great breakfast included! Set in an historical industrial building, The Nadler Liverpool offers modern rooms with kitchenettes. With free Wi-Fi and HD TVs, the hotel is located in the vibrant RopeWalks district. Beautiful hotel, friendly staff, and immaculately clean. In a quiet area also, but not too far away from bars etc. Will be staying again! Offering fitness facilities and on-site restaurant, DoubleTree by Hilton Hotel & Spa Liverpool is located close to the center of Liverpool. Free WiFi access is available. Staff were very accommodating, nothing was too much trouble. The Richmond BW Premier Collection is set in the heart of Liverpool city center in an iconic Grade II-listed building. We stayed in a huge suite. The room was clean and spacious. I liked the terrace area. Carefully restored from what was the first bank in Liverpool, Heywood House Hotel, BW Signature Collection combines original elegance with modern luxury. Staff were friendly and helpful. Rooms very comfortable. Located just 1 mile from Aintree Racecourse and 5 miles from LFC, The Park Hotel is ideally located for all the major road networks. The hotel and hotel staff are both excellent and its a very relaxing stay every time. 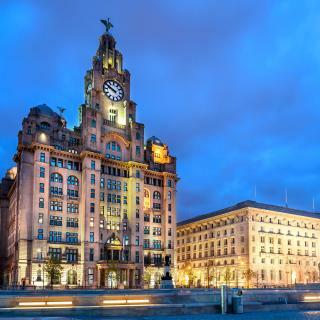 This hotel is in central Liverpool, across from the Albert Dock and 320 yards from the Liverpool One shopping center. Everything was just excellent. So well placed for visiting museums galleries, shops. At Liverpool’s Stanley Dock, the Titanic Hotel Liverpool is found in the site’s former North Warehouse, and offers stylish accommodations around 5 minutes’ drive from the city center. This is my new home away from home. Set in an historical industrial building, The Nadler Liverpool offers modern rooms with kitchenettes. With free Wi-Fi and HD TVs, the hotel is located in the vibrant RopeWalks district. Beautiful hotel, friendly staff, and immaculately clean. 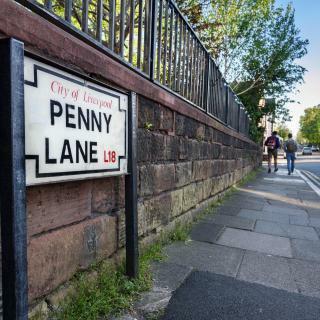 Penny Lane Hotel is located in the Mossley Hill area of Liverpool, which is home to some of the most significant Beatles attractions in Liverpool. Free Wi-Fi is available in all areas. Excellent! Stayed for five days, absolutely loved everything about this place! In the heart of Liverpool's bustling center, this Holiday Inn is located opposite Liverpool Lime Street Station, with an adjacent 600-space car park. The staff were super friendly and helpful - couldn't have asked for a better stay. In the city center and within a 10-minute walk of Liverpool ONE Shopping Center and the port, The Z Hotel Liverpool offers compact and luxury accommodations in a contemporary design. It is the second time I come back to this hotel. Excellent location. Less than 5 miles from Liverpool city center, Orrell Park Hotel offers rooms with attached bathroom just 4 minutes’ drive from Aintree Racecourse. The staff were excellent. Nothing was too much trouble. In Liverpool’s bustling Cavern Quarter, Hard Days Night Hotel features an innovative restaurant and stylish cocktail bar. Wonderfully clean, modern and of course the theme is amazing. Which hotels are the best ones to stay at in Liverpool? Pullman Liverpool, The Nadler Liverpool, and Penny Lane Hotel are some of the popular hotels in Liverpool. Which hotels in Liverpool have nice views? Hotel Tia, Holiday Inn Express Liverpool-Albert Dock, and Pullman Liverpool got great room view-related reviews from travelers in Liverpool. Which hotels in Liverpool are good for families? Many families visiting Liverpool loved staying at The Glebe Hotel, Hotel Tia, and Lock and Key Hotels - Duke Street, Liverpool. 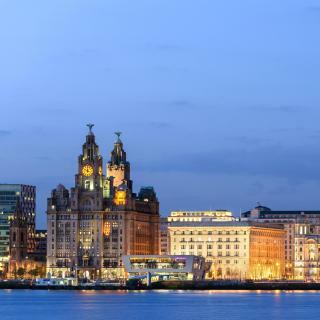 Which neighborhood is the best one to stay at in Liverpool? 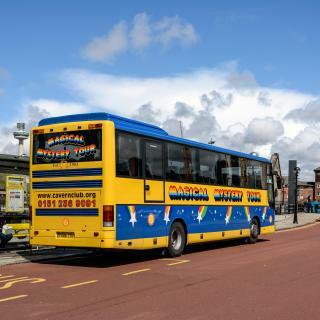 Liverpool City Center, Everton, and Anfield are popular with other travelers visiting Liverpool. How much is a hotel in Liverpool for tonight? On average, it costs $70 per night to book a 3-star hotel in Liverpool for tonight. You'll pay around $115 if you choose to stay in a 4-star hotel tonight, while a 5-star hotel in Liverpool will cost around $181, on average (based on Booking.com prices). Which hotels in Liverpool offer an especially good breakfast? For hotels in Liverpool that serve highly-rated breakfasts, try Penny Lane Hotel, Titanic Hotel Liverpool, and Pullman Liverpool. What are the best hotels in Liverpool near Liverpool John Lennon Airport? 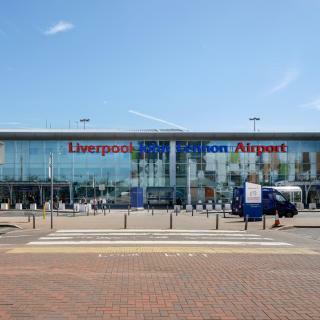 Travelers who stayed in Liverpool near Liverpool John Lennon Airport (LPL) have said good things about Hampton by Hilton Liverpool John Lennon Airport, Crowne Plaza Liverpool - John Lennon Airport, and Holiday Inn Ellesmere Port/Cheshire Oaks. How much does it cost to stay in a hotel in Liverpool? On average, 3-star hotels in Liverpool cost $106 per night, and 4-star hotels in Liverpool are $155 per night. If you're looking for something really special, a 5-star hotel in Liverpool can be found for $197 per night, on average (based on Booking.com prices). How much is a hotel in Liverpool for this weekend? The average price per night for a 3-star hotel in Liverpool this weekend is $258 or, for a 4-star hotel, $408. Looking for something even fancier? 5-star hotels in Liverpool for this weekend cost around $434 per night, on average (based on Booking.com prices). Which hotels in Liverpool are good for couples? These hotels in Liverpool are highly rated by couples: The Glebe Hotel, Hotel Tia, and Lock and Key Hotels - Duke Street, Liverpool. What are the best hotels in Liverpool near Albert Dock? Some of the best hotels in Liverpool near Albert Dock include Staybridge Suites Liverpool, Pullman Liverpool and Campbell Square Apartment 3. Great city! Fabulous shops, bars & restaurants. Went solely for the Beatles experience, Magical Mystery Tour, Beatles Tour & Cavern a must see! 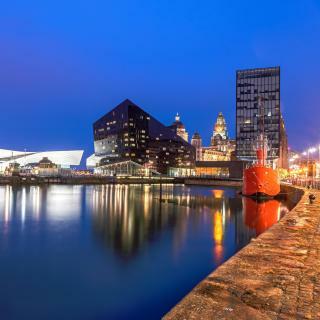 Hard Days Night Hotel is perfectly located for centre of town & attractions but parking is down at Q Park near Pier Head, a 10 min walk away. Blakes Restaurant at the hotel very good & RJB Restaurant excellent! Liverpool is a fantastic place to stay. Liverpool is a fantastic place to stay. There are so many things to see and do. Galleries, museums, brilliant restaurants and theatres. Lovely architecture and Liverpool One has all the shops and shopping you could want. The people are friendly and welcoming and it is a pleasure to visit Liverpool and enjoy all the charms and attractions it offers. Nice places to eat Bistro Franc and Jamie Olivers on Paradise street. Lovely organic cafe and shop with vegan options LIV on Bold St. Great places to stay The Richmond and Hotel Indigo, Transport around Town is easy with most places accessible on foot, hop on a bus and lots of Taxi ranks, drivers are chatty and fun. Parking is plentiful and not too expensive. Town centre can be difficult by car as it is busy and lots of no entry and one way system you need to get used to. Love liverpool! We loved this hotel. The associates are so helpful. My husband had been injured while we traveled and they quickly changed the room from a loft room to a large room that accommodates someone on crutches. Their restaurant recommendations were great. 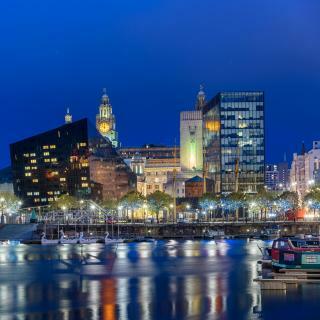 The hotel is close to Liverpool 1 and Albert Dock. There is a Tesco's right down the street as well so anyone who wants to can purchase food to heat and eat in the well appointed kitchenette in the room. Fantastic Hotel and Perfect Location. Fantastic Area in Liverpool and very handy for the Liverpool One and Albert Dock (5mins walk). The hotel itself is very clean, large rooms, plenty of floor space and includes a quiet gym on the lower ground floor which was ideal for me being on the same level. There are plenty of places to eat and shop at the Liverpool One which made this hotel an excellent choice for both comfort, cost and location. Good to Note: There is a hotel discount on the NCP carpark which is not published as is only 2mins walk from the hotel itself. Remember to ask at reception when leaving to save a few pounds! Be prepared to be amazed by the history and the friendliness of the locals. From our hotel we could walk to the Pier Head where we took the open air bus tour of the City - yes, even in January! We actually took it twice - once to see where everything was and then on the second circuit we got off at the Adelphi Hotel which, actually, is no longer that impressive as there are so many incredible historic sites to see. We took the ferry tour and got off at Birkenhead and walked around Hamilton Square and down to the market where we saw fishmongers and butchers with their wares - quite a different variety compared to the U.S. We walked to the Ship and Mitre Pub where you can get great ales and free scouse (local dish) on Wednesday nights. Liverpool One (shopping center) is another short walk away. We visited the Liverpool Museum, Maritime Museum, the new Central Library where you must walk through to see the old area they have preserved - what a contrast! We took the train from the City out to see relatives and found it super easy to navigate. The people of Liverpool are the friendliest one would hope to meet and the history that is visible at every corner is amazing. Oh yes, we had stopped at the Town Hall (again a very short walk from the Doubletree Hotel) on a day when tours weren't being given but one of the staff said he didn't want to disappoint us and gave us a wonderful, unscripted tour right then and there. The City certainly comes to life of an evening (not that it was ever dead during the day) and there would be plenty of exciting night life for someone looking for it. We had done the Cathedral tours on a previous visit, so didn't do those this time around but they are certainly worthy of a visit. The Liverpool Marriott Hotel City Centre is in a great location, within easy walking distance of every city centre attraction. It is about 20 minutes walk from the docks. The staff were friendly and checked us in/out efficiently. Our room was clean and had all advertised amenities. Despite the central location, it was very quiet at night and lent to a comfortable nights sleep. Highly recommended for anyone visiting Liverpool or nearby cities. Location of hotel is very central, 5 mins from Liverpool Central Railway Station and Liverpool1 Shopping Centre,also very near Albert Dock and The Waterfront where you can get the Mersey Ferry and Open Top Tourist Buses.Staff at hotel extremely helpful,and discount vouchers available for local restaurants available at reception once checked in. Small kitchenette in room was extremely useful. I liked being loaned an extension lead so I could charge my phone and use the breathing machine. I like the late check out time of 2pm (every hotel should do this) and I liked how many milks were given for tea. There are usually 2 but I was given 6 which meant I could have 3 cups of tea. Lastly, the location was a 5 minute walk from Liverpool Lime Street St. There was not a single thing I can think of that was wrong with this hotel, everything was amazing and such great value, so close to the city centre, and very close to the airport, the beds were sooo comfortable, the staff were so helpful and friendly, overall best hotel experience I’ve ever had. Location was fantastic, walking distance to the docks, shopping, restaurants and the museum we were visiting. Spacious, clean accommodation for three adults and three kids. Much cheaper than booking two hotel rooms for each night we were away. Definitely book again when visiting Liverpool. The room was a very good size for city centre hotel, nicely decorated and the bathroom was excellent. Location ideal, very close to bars, food, few mins walk from docks, caven club etc. Staff friendly and extremely helpful. Would stay here again and recommended to others. Excellent value, best cheap hotel in Liverpool that I’ve stayed in. Helpful and pleasant staff Large car park Ok restaurant I was worried about other reviews saying the rooms were hot, I found this not to be an issue in my case. Room was cool. 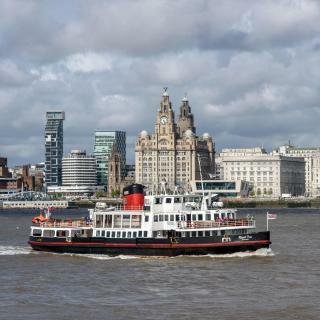 The hotel is in a really good position with just a short walk to the city centre and Albert Docks. The room was very nice and comfortable with a four poster bed and plenty of storage, the bathroom was almost perfect. Hotel was fresh, modern and a perfect location for the city centre and the echo arena. The staff were very attentive and the whole experience was wonderful. I would definitely recommend this hotel. Near Albert Dock and 10 minute walk to city centre. Cheapest hotel room available for our visit at a high demand period. Breakfast was 'OK' for £8. Security on lift. How close it is to Liverpool city centre and the docks. The room was amazing and the shower was the best shower I have ever had !